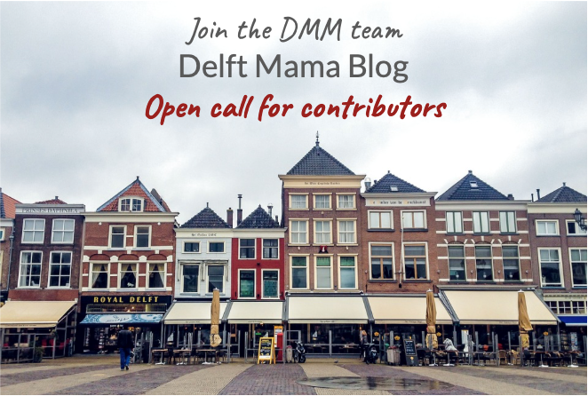 The search for a new chairperson for Delft MaMa has come to an end! Through an open application process, the Delft MaMa Board of Directors selected Meredith Mull Aggarwal. Welcome to our first article in a series about toys and play. Is your little one bored with his or her mountain of toys, or are you looking to reduce that mountain without sacrificing variety and quality? Perhaps you are looking to try different types of toys before buying? 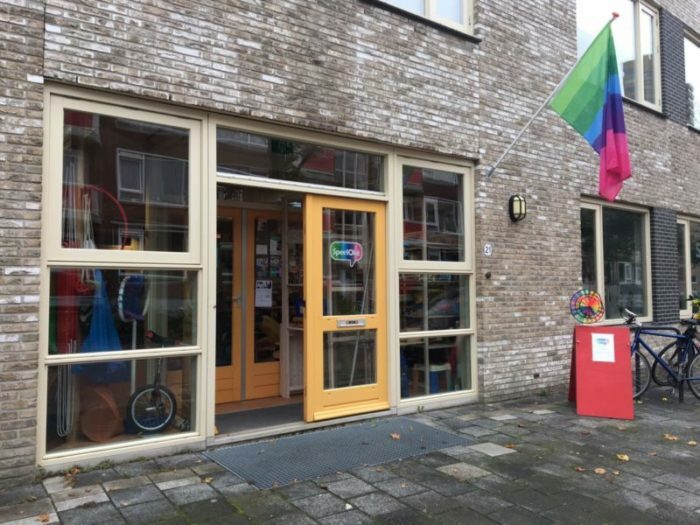 The SpeelOké toy library in Delft allows your little one to BORROW toys. 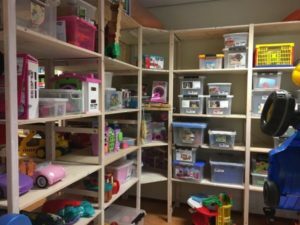 Read on as Erna Bekink, the chairwoman of the SpeelOké toy library describes what the library is all about. At our library, parents can borrow toys suitable for children from 0 to 12 years old for three weeks. Every three weeks you and your children can select other toys, which allows them to play and have fun with a regularly rotating selection of toys targeting different dimensions of their development. If you have any questions, ask our volunteers. They are happy to recommend toys that are suitable for your child following the “toy circle,” which we describe briefly below. Our volunteers know what is in stock for each age group and which development phase those toys are suitable. 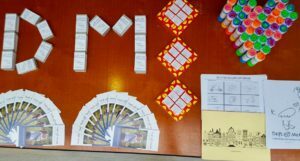 Board game fun for kids. PC: Annemarie Laan-Oorthuizen. 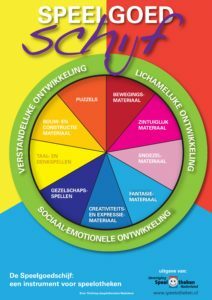 We make use of the “toy circle” (see figure to the right), a handy guide for choosing toys in all the different development areas: such as movement material, sensory material, fantasy material, etc. 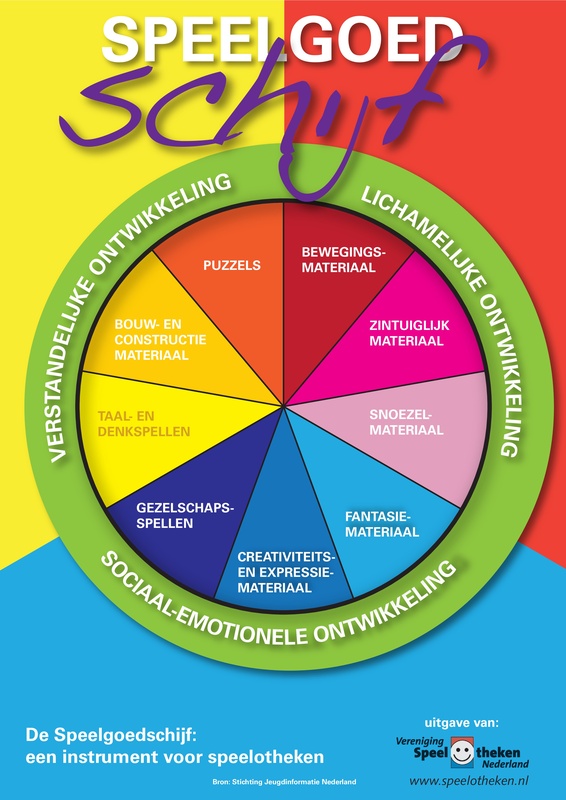 Each category of toys (see the colors in the circle) makes a different contribution to the development of a child. Ask yourself with which category of toys your child plays with regularly, and then choose toys from another category. For example: if you want to stimulate your child’s creativity and fantasy, you can borrow dress-up clothes, Playmobil, a doctor’s set or a doll’s house. These kinds of toys stimulate the imagination of a child. The subscription fee is €10 per year for one family. The administration fee for new subscribers is €3,50. With one subscription you can borrow three toys every three weeks. You also pay a small amount for every borrowed toy (€0,50, €1 or €1,50 – depending on the value of the toy). SpeelOké is located at Van Kinschotstraat 21 in Delft. 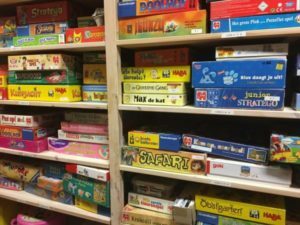 SpeelOké is open every Saturday morning from 10.00 till 12.00. We are closed during school holidays. Check our opening hours here. Volunteers spend 3 hours a month helping out at our toy library. Why don’t you join us? 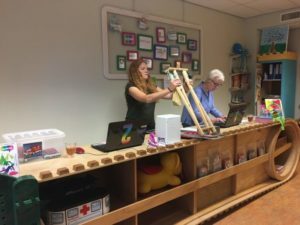 If your children start borrowing toys at SpeelOké, there is a possibility for parents to volunteer–our foundation is run by enthusiastic volunteers who spend around 3 hours per month on a Saturday morning in the SpeelOké toy library. As a volunteer, you can also take part in other activities such as the PR commission or the toy selection and purchasing commission. Are you interested in meeting new people and being part of an enthusiastic, cheerful team of volunteers? Don’t hesitate to come by and take a look at our toy library or phone our chairwoman for more information: Erna Bekink at 06-242 06 378 – We would love to meet you! 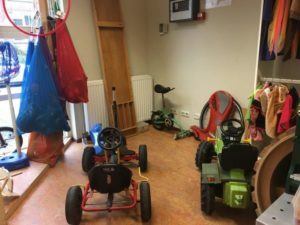 The editors want to thank Annemarie Laan-Oorthuizen of Bloei for the use of her photos in the article (see her article about the SpeelOké library in Dutch here). Bloei is an extensive online resource with guides and blogs in Dutch for parents of children aged 0-12 living in the Delft area. On Bloei you’ll also find an interactive calendar with a short description of fun kid-friendly activities. Looking for something offered in languages other than Dutch? Check this page regularly for classes, activities, services and relevant websites available in other languages. Next up in this series, Delft Mama Zdenka Prochazkova talks about using music to help your young child’s development, and how to choose the right musical toys for your little one’s age level. In the meantime, play on! This Saturday Delft MaMa is taking a head start on King’s Day by organizing a Children and Maternity Clothing Swap at the playgroup location KDV de Vlinderstruik in Delft on Lodewijk van Deysselhof 165. It’s a well-organized and an easy way to be kind to the environment and to our wallets by joining our efforts together. What to bring? Good quality clothing in all sizes for children and expecting mothers that no longer serve you. The seasons change and you just might find yourself staring at your child’s closet trying to find out if any of the last years shorts fit them. Or perhaps your maternity pants are only hogging the space and you’d much more benefit swapping those elastic jeans to a pair of sandals and rubber boots for your toddler. Whatever the case may be, everyone’s welcome! How much do the items cost? The short answer is zero. Many of us don’t have families close by and find ourselves lacking the otherwise natural circles of clothes swapping with relatives. Swapping with cousins rarely cost anything and neither does this. We encourage people to bring what no longer serve them and hopefully find the pieces that will be just right for them as well. Pieces aren’t counted, so swap will be strictly based on taking whatever serves your purposes. You’ll simply pick what you need! The items that are left in the end you’re free to bring back home or you can choose to donate to the Delft MaMa King’s Day Sale. More information about the swap is available here. Last year Anna Kõvári of Delft MaMa organized the first King’s Day Sale all by herself. “I just cleared a bit our house and sold the items. It was more like an experiment for me to see how I would deal with selling things to strangers. I was completely surprised by myself; I did not know that I love bargaining and selling,” Kõvári says. It took a few hours, Kõvári made some money, which she then decided to donate to Delft MaMa. Call it a success? Absolutely! This year DMM decided to turn on the big gear and start preparing well in advance. Tatjana Lisjak has taken an excellent lead in the project and gotten people to dig through their closets in order to support the organization. Want to learn how to donate items and more? Click here. 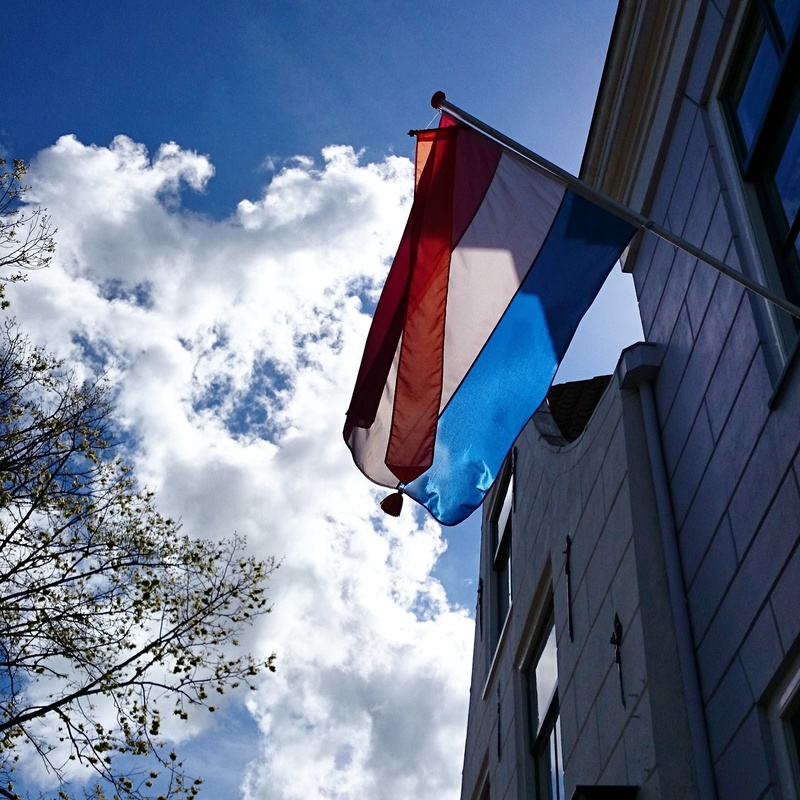 On King’s Day you’ll find Delft MaMa in two locations: Nieuwe Langedijk and another to be announced spot. You can drop by to see the variety of books, beautiful dresses, clothing, toys and the rest that are available for small change at these two stalls. You will also find a Delft mama volunteer on the spot with coloring sheets, boxes of raisins and other wonderful things for your little ones. If you already have everything you could ever desire for, but you feel like supporting some of our projects, there will be a box for money donations purely for the upcoming mosaic project. The mosaic project was previously introduced in the blog by Oriana van der Sande. 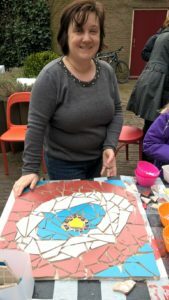 Nan Deardorff McClain, well-acclaimed mosaic artist in Delft, will be leading this project with the help of volunteers. There will be five mosaic workshops available for the Delft mamas in May. It will be an exchange of talents, time and materials, according to Wooning: “We give the materials and the volunteers give us their handiwork. Those pieces will go on the wall.” The first workshop will take place on 2nd of May. You can find more information here. Through this link you can donate, or you can choose to wait until King’s Day and drop by and donate money at designated box at the stand. Did you recently brake a mirror? Do you have a pile of outdoor suitable tiles you no longer need? Then hit us up and we’ll tell you where to bring your donations or when we can pick them up. And of course once the crowdfunding videos Wooning has been working on are released to the public, you can help by spreading the word. Any extra donations will be forwarded to the next mosaic project. Yesterday I worked fifteen hours without a break. 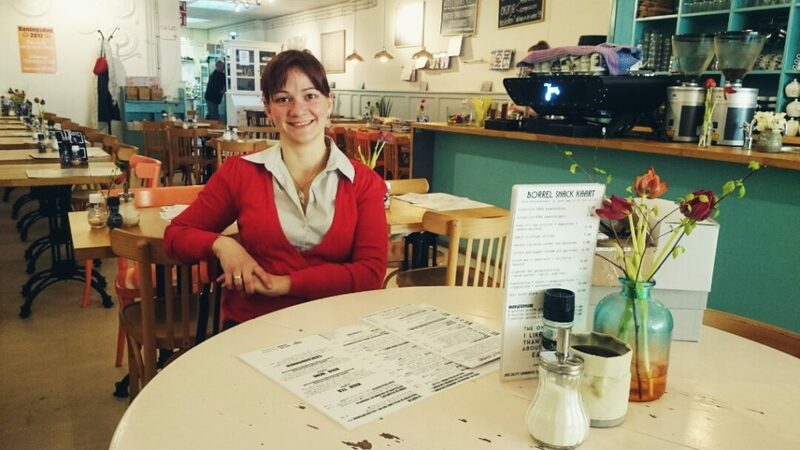 No, I’m not a life-saving surgeon or the Prime Minister – I’m a working mother who is underpaid and undervalued. Who am I undervalued by? Myself. In 2012 I began to work as a freelance Marketing Consultant while living in Spain. My girls were aged nearly three and five at the time and in full time nursery. I had survived the sleep-deprived baby years, my energy and health was improving and my kids could finally (more or less) feed themselves and wipe their own butts. It was time to forego the part time work, take the plunge and finally use my years of experience to become self employed. The problem wasn’t that I didn’t have time to work – nursery was 9-5. 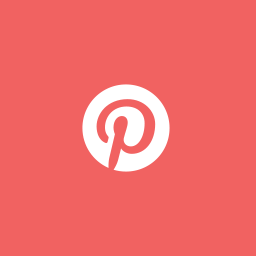 The problem wasn’t that I didn’t have clients – I had plenty of work coming my way. The problem was that I underestimated how bad I was at valuing my own self worth, and what a pushover I would be at volunteering my time now that I didn’t have a boss managing it. After a long hard think I had to admit where I was going wrong. Tell me if I’m alone here, but I think it’s fair to say that the self-employed, especially women, and ESPECIALLY mums are really really really crap at saying no. I’ve often wondered why us mums are the worst when it come to recognising our own self worth. Is it because for years we’ve happily worked for free changing nappies and feeding babies and forgotten that our time is actually worth something? Or is it because once we finally escape the baby years and re-enter the workforce everything (yes, everything) seems easier and more fun than dealing with screaming newborns and tantruming toddlers, so we don’t see it as hard work but actually an escape? And who wants to charge people for work that doesn’t feel all that difficult? 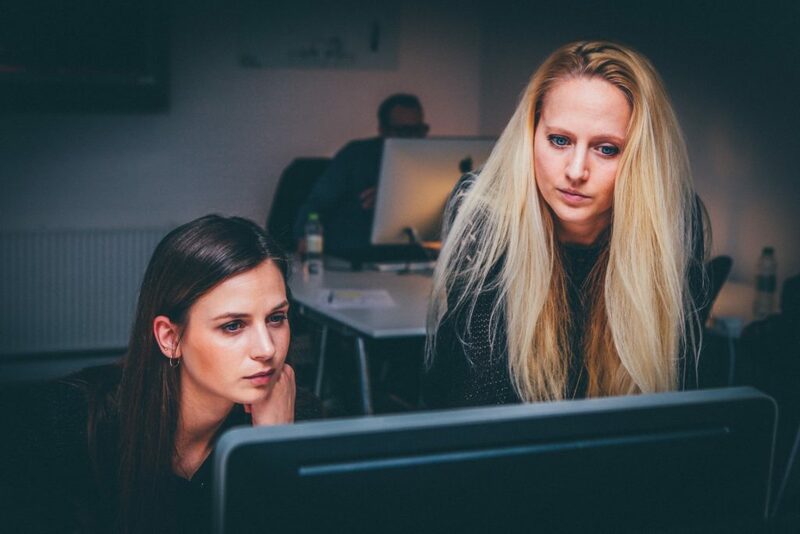 Once I began working for myself I was so eager to please and prove my worth, show that my time out of the workplace hadn’t affected my ability, that I was putting in more hours than I needed to and earning a fraction of what I did pre-baby. 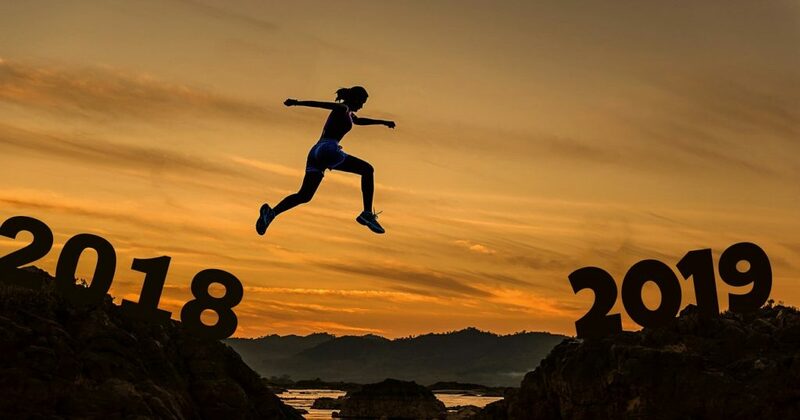 So at what point do we drop the guilt, the sense of obligation and our embarrassment and say to clients/people in need of our time – ‘no, I can’t do that’ or ‘yes, I can….but not for free’? 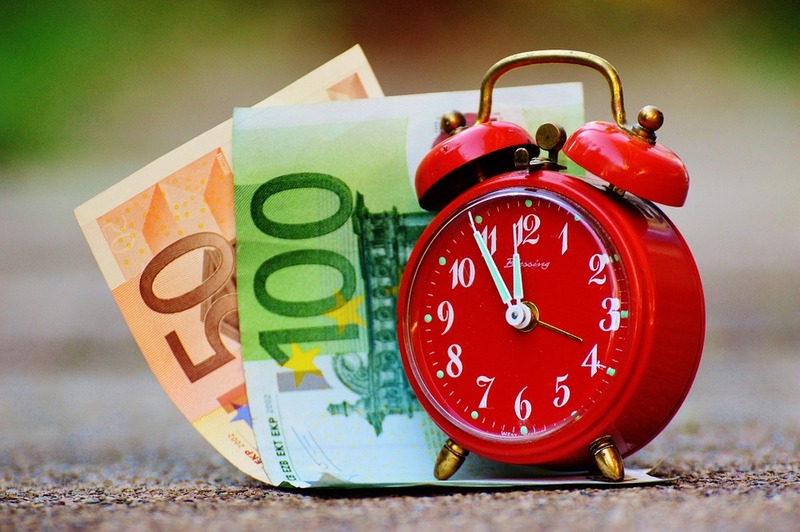 Work is one thing and one thing only – an exchange of our time for money. That’s it. What we choose to spend time on outside of our allocated working hours is up to us, it’s our right to say no if we think volunteering on three school trips in one month on our only day off is too much. It’s ok to sit and watch TV on a Saturday night instead of answering emails or helping our neighbour with their CV. It’s perfectly ok to say ‘I’m sorry, I can’t’ and be kind to ourselves. Our kids get enough of our time without having to thank us…so why should anyone else? What happens if we let things go and say no? Nothing. No one is judging us, if anything they are realising that our time is precious and only we have the right to decide how it’s spent. Hey, they may even pay us what we deserve! So I have made a vow to myself – from this day forth I shall no longer do things for free. Unless it directly benefits my family, business or my books I can’t (literally) afford to do anything more for nothing. I can’t. But of course there’s always an exception…such as this article. Of course Delft Mama haven’t paid me for it, and it’s 9pm and I’m still working after having been awake since 6am. Dammit! 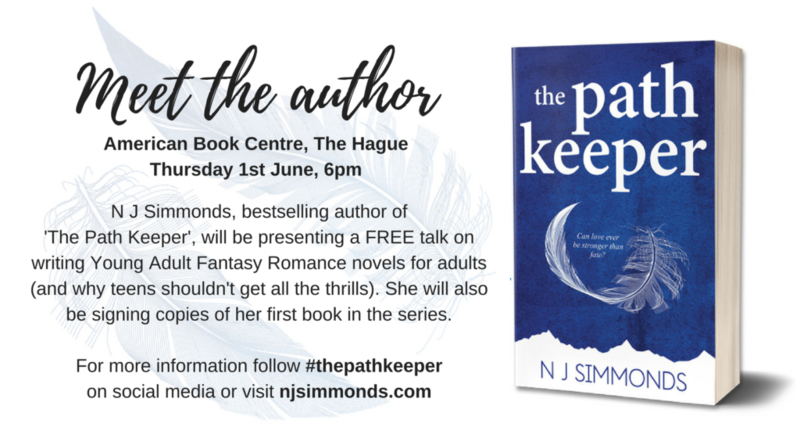 There’s only one thing for it then, I’ll have to use this as a big advertising tool to shout about my next author event in The Hague on 1st June. There, that’s better, I don’t feel like I’ve given away my time any longer. And now for the tricky part – how do I say no to the PTA? When you move places, countries, cultures, you know pretty much what you leave behind, but you never truly know what lays ahead. You get a bit excited, you gather information, you make plans. And no matter how good you prepare yourself, you find yourself at a certain point in this new place, away from what feels familiar, struggling to put back all the (missing) pieces in your life. 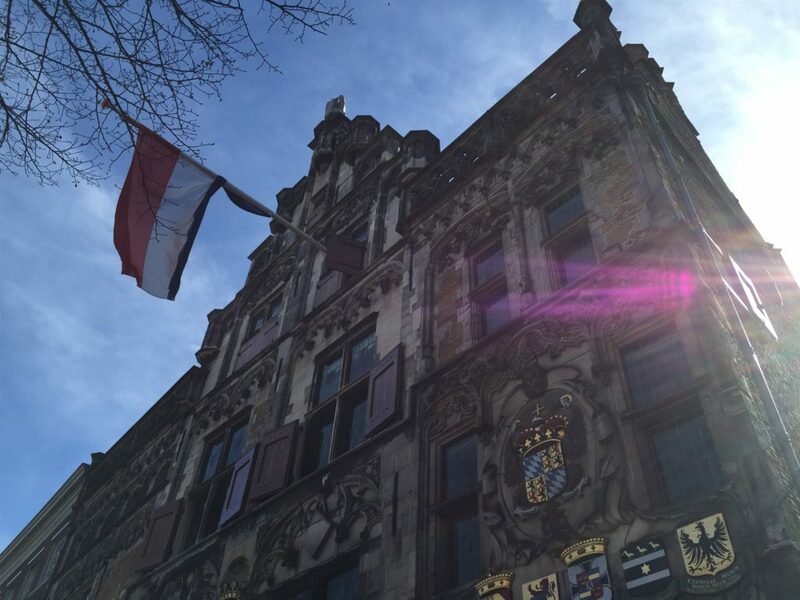 When I moved to Delft, I knew I needed an international community to help me with what I needed back then: to help my daughter the best in her international transition. For me, finding Delft Mama was just a few clicks away. I immediacy found gatherings and get togethers which made me meet interesting people. Later on, just a question here and there, and many Delft mamas were always eager to share their knowledge and information with others. Building such a vibrant and strong community does not just happened by chance. 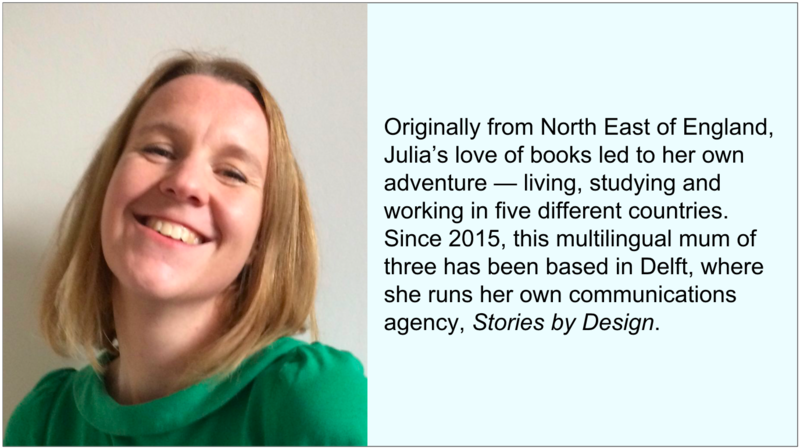 But I am sure when Lucie Herraiz Cunningham started Delft MaMa 10 years ago, she could not imagine where it stands now. All the international parents involved in so many projects, helping each other, and helping the city of Delft as well. Because, there is what we all have in common, the beautiful city we live in. One of the activities this year, to mark the 10th anniversary of Delft MaMa, is the nicest community project of making a beautiful, big mosaic on an “ugly”, empty wall. One of our Delft mamas, Nan Deardorff MacClain, who you might know from various mosaic art projects in the city centre, will be coordinating this project. The mosaic project is going to be a wonderful tribute to the awesome organization that Lucie started 10 years ago to help international women connect and support each other during the demanding years of mothering babies and young children. 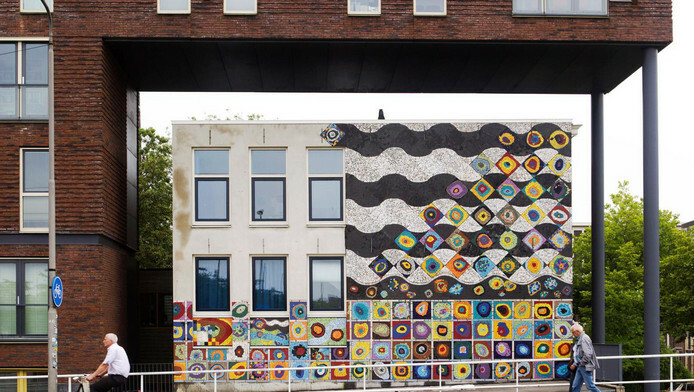 The mosaic, once approved by Gemeente Delft and funded, with a combination of grants and a crowd-funding effort, will be installed at the Achtertuin playground, a place that has a large, vandalized wall. We will be including neighbors, hopefully during their annual straatfeest, as well as Delft Mama members and their families at a picnic at the Delftse Hout on June, 25th. Other workshops will happen in May during the mama’s nights out and at the weekly playgroups. The installation of the mosaic, once it is completed will happen in August, if all goes according to plan! Keep an eye on the calendar and the different events on our Facebook page. You all can participate, and add the little pieces of your own personality and artistic skills to this amazing collaboration. Because Delft MaMa is all of us. And this mosaic will be an unique, urban, work of art. Made by pieces of us. 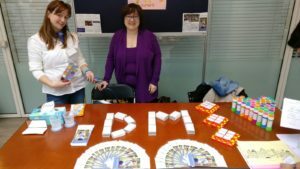 Delft MaMa, represented by a group of kind-hearted volunteers, was one of the 140 institutions present at the largest expat fair in the Netherlands. 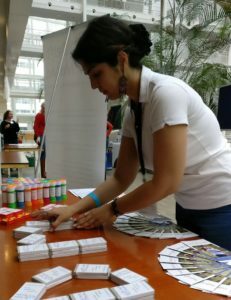 This annual event organized by The Hague Online in partnership with ACCES celebrated its 10th edition. and so the day went by at the Feel at Home International Family Fair past Sunday the 5th of February. From 11 am until 5 pm the City Hall of the Hague, hosted over four thousand people coming from every corner of the world. Many were the visitors that stopped by to meet and greet a small representation of the people that build our community. 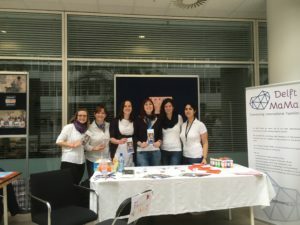 Amongst crayons, boxes of raisins, bubble blowing bottles and face painting, our Delft MaMas got engaged with families coming from Canada, Italy, India, China, Japan, England, Hungary and The Netherlands, to name a few. 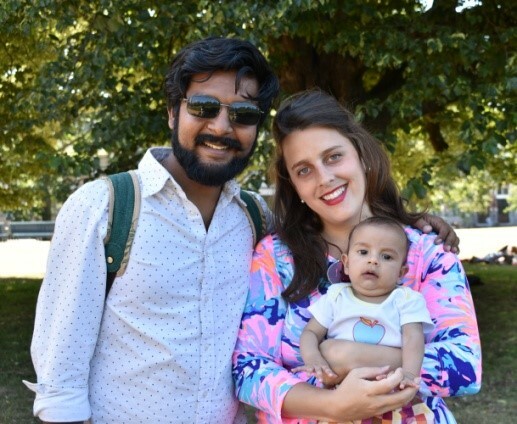 Complicity smiles and tips about parenting in a third culture environment where joyfully shared. We hope we will see new faces in the upcoming events real soon! A big thanks to everyone involved in making this fair a success, before, during and after. We have all been touched by stories of refugees travelling to Europe. Over the next year and a half, Delft is expecting 6.000 Refugees to join our community, and these families have encountered tremendous struggles that are almost unimaginable. 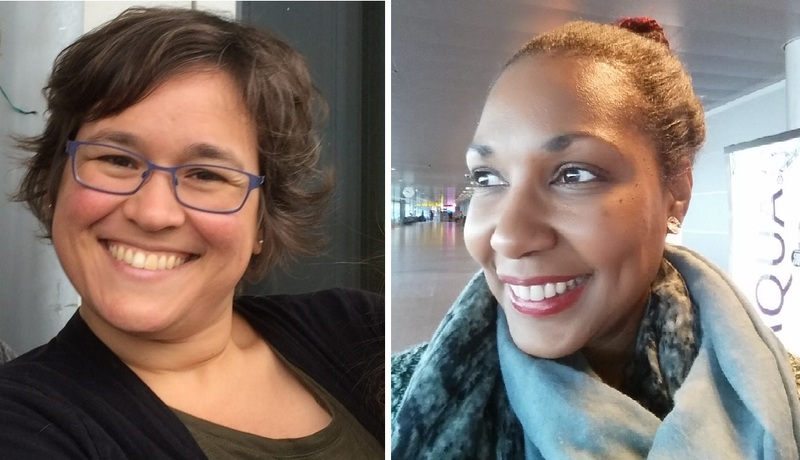 As part of the Delft MaMa SLiDe (Soft Landing in Delft) Project, Delft Mamas have been sharing their well-known kindness and compassion to the newcoming Refugee Mamas and Families in Delft. Warm-hearted volunteers have organized activities for refugee children at events including the Taste! Christian Community Delft “Welkoms Maaltijd”, the Taste! Dutch Conversation Club, and in the future we will also provide support for the Dutch Up Your Life “New to Delft” Workshops that will soon start in Tanthof.